Here i am again with another edition of macro monday. Hot summers are in full swing and i am busy mulching all my plants to save them from scorching sun. I will start with this beautiful butterfly hanging over my murraya plant on my balcony.And she is a frequent visitor here. 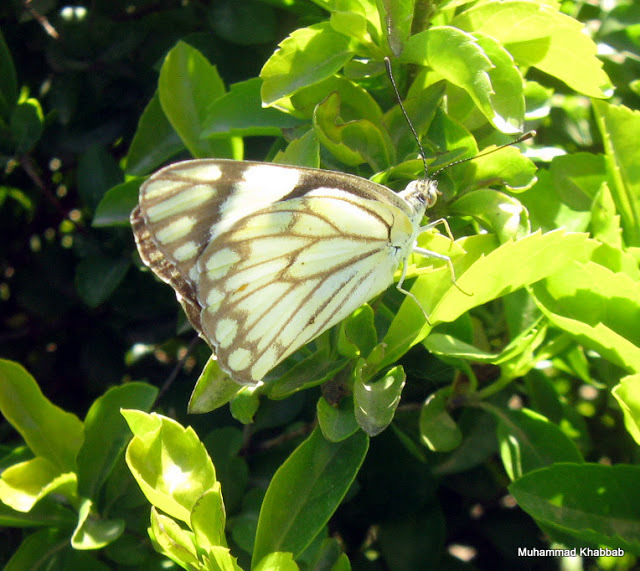 Another butterfly i captured but not at my terrace, in an open space instead. She is way faster to capture and i spent hours to get her. This is Tropical milkweed. Botanical name Asclepias curassavica. 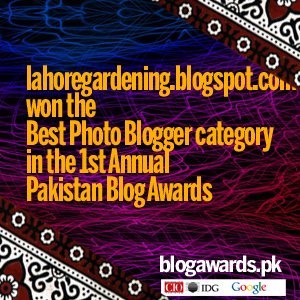 This is first ever bloom of this plant in my garden. Initially i planted it just fro sake of attracting butterflies but the blooms changed my mind. I grew it from seeds last year. 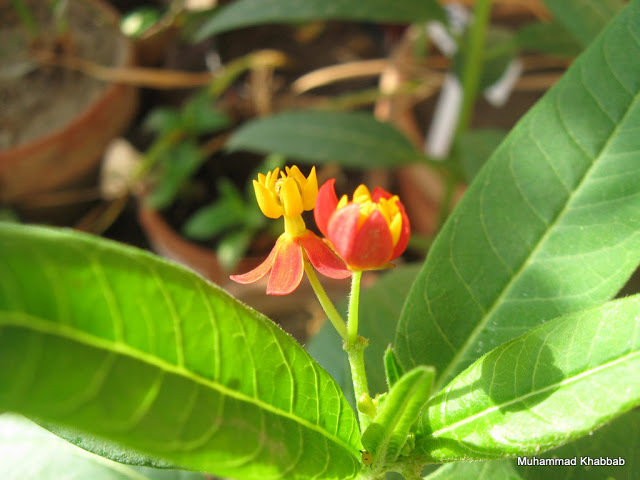 As the name implies it is more suited to tropics than its cousin butterfly milkweed asclepias tuberosa. It likes moist climate specially in hot summers. It is a bit drought tolerant as well. I am growing it in a 14 inches container on my terrace. I captured this bee busy in a sunflower bloom. This species has gone wild in open areas of punjab. 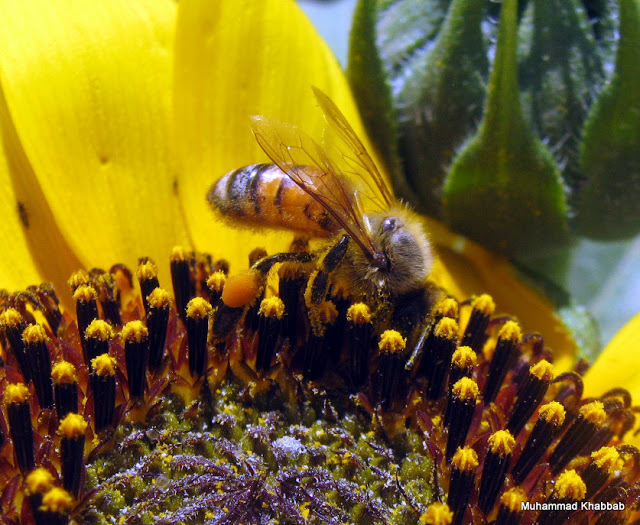 Not many bees are attracted but bees just love it. Could not resist few close ups. A lovely and informative post, beautiful flowers with lovely little visitors. Thanks for sharing them. I enjoyed seeing the butterflies and bees and your blooms are lovely. Wow, sunflowers growing wild in the countryside. It would be a dream come true for me. I wish I could take a picture with butterflies too. They are so pretty. Happy Monday! Wonderful series. The second shot is lovely. I’ve never seen a butterfly like that one and the lighting is super. all beautiful, but the composition of that bee shot is fantastic!!! I love that bee photo! We are trying growing the other milkweed for the first time this year – I haven’t seen it in flower yet, but I think it will be soon. I love butterflies and the one on your first photo is lovely. This is another post of yours that I compleely enjoyed. Thanks for sharing these wonderful shots. My favorite is last one. Again thanks for your visit and comment on my blog. 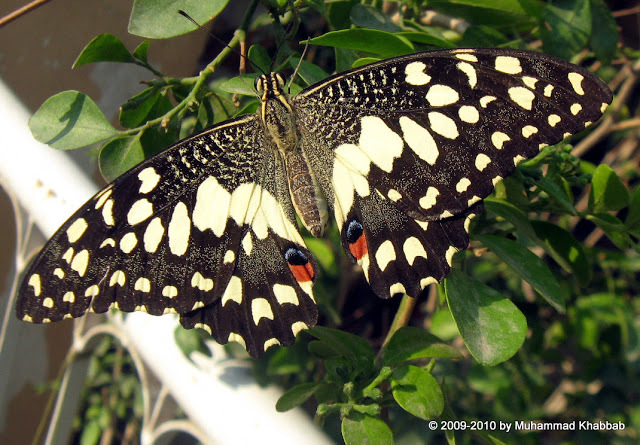 The first butterfly is “Common Lime Butterfly” also known as “Chequered Swallowtail”, while the 2nd one is “Pioneer White Butterfly”.